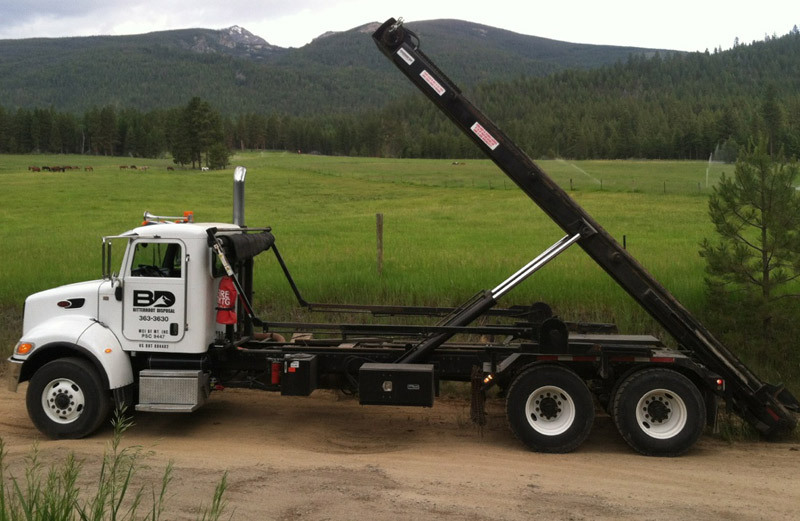 Bitterroot Disposal offers roll-off containers for permanent or temporary use for residential projects or construction and demolition projects in Ravalli County. 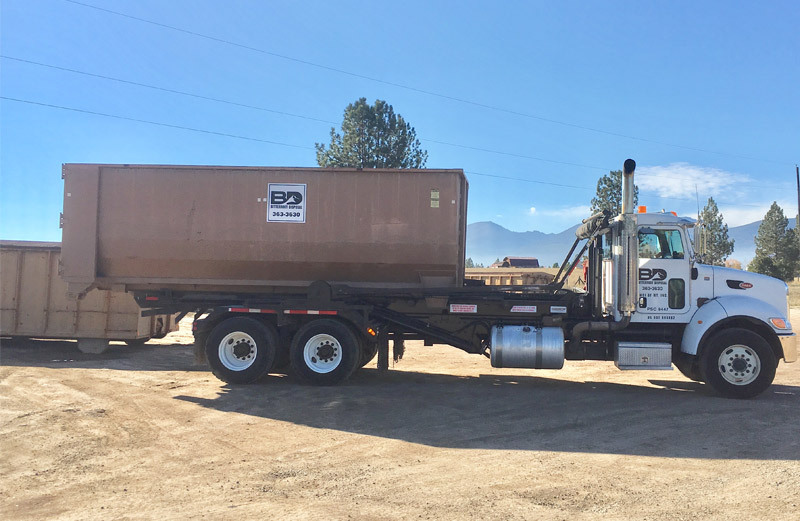 With two sizes available, Bitterroot Disposal’s professional drivers can promptly deliver and remove containers to keep small and large projects on schedule. Roll-off container pricing is based on the container size, the type and weight of materials removed, the hauling distance, and the number of days the container is on-site. Before ordering a container, we recommend walking the area where you want to place the container and check for overhead hazards like powerlines and tree branches. Roll-off trucks require up to 20 feet of aerial space and the full length of the container and truck/trailer for loading and unloading. Light materials (papers, blown insulation etc.) need to be bagged. Maximum of 17,000 pounds allowed in each container. Do not use heavy equipment of any type to pack down garbage. Do not move container unless approved by Bitterroot Disposal’s supervisor. Any damage done to the container will be repaired and charged to the customer. Any wait time or rearranging of load time incurred by the driver will be charged to the customer. 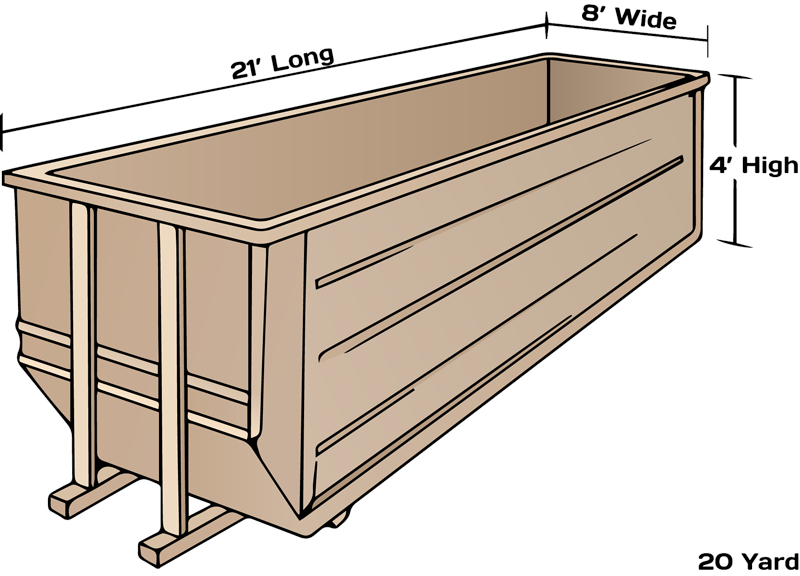 Not all waste materials are allowed in Bitterroot Disposal roll-off dumpster containers due to safety, environmental and legal reasons. Please review the acceptable and unacceptable materials listed below. If you have any questions about Bitterroot Disposal Roll-Off services, please call our customer service representatives at 406-363-3630 or Email us. Refrigerators, freezers and A/C units which are undrained. If drained and accompanied by the proper certificate, Bitterroot can haul these items. State law requires that any refrigerators, freezers or air conditioning units are certified to be drained of free prior to pick up. Call our customer service for more information.